With big growth ambitions, a brand new resort and exchange rate challenges, Neilson’s acceleration plans needed a campaign that would help them get summer 2018 bookings off to a fast start. Neilson are seeking to attract a wider audience to their activity packed holidays, and although the assumed wisdom is that people choose these holidays to be 100% active, the insight from our holiday quiz proved otherwise. Over 1,500 customers told us that, as well as wakeboarding, mountain biking and tennis, their most popular activity was sunbathing. Social listening confirmed the importance of chill out time. This gave us a perfect platform to do different. We combined a flavour of the activities on offer with moments of complete relaxation. This connects to the brand promise and reminds people ‘Don’t forget to do nothing’. 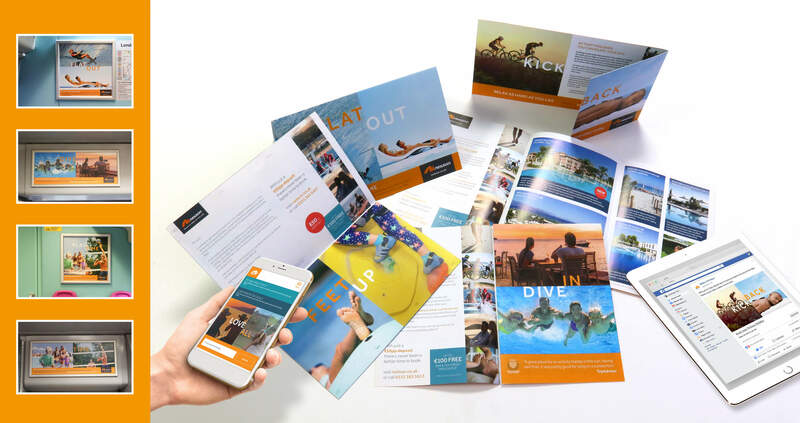 Our national campaign of DM, outdoor, press inserts and multiple digital executions uses bold visuals and big headlines to convey both sides of a Neilson Holiday, creating a connection with our key audiences and making them think, “Aah, I need some of that”.